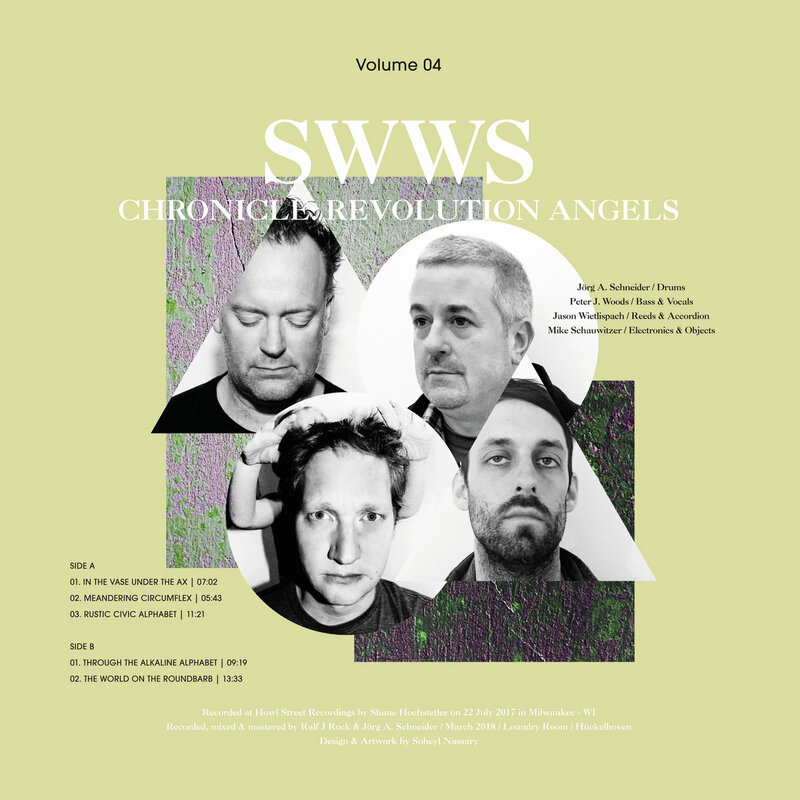 SWWS LP for Sale NOW! We're selling something new today! This is not a new FTAM item but its for sale right here anyways because its just that gosh darn special. SWWS is a brand new quartet featuring myself, Jorg Schneider (of Nicoffeie/Jealousy Mountain Duo), Mike Schauwitzer (Mildew/Slow Owls) and Jason Wietlispach. High intensity and ripping free jazz recorded across an ocean to commemorate our time spent together during Jorg's travels here in the US. I'm incredibly proud of this album. The love and respect we have for each other as musicians really shines through these tracks. Since Jorg lives in Germany he sent a few for me to sell over here. Limited quantity, so grab them fast. I am only shipping them to people in the US. International shipping should buy directly from the bandcamp page.